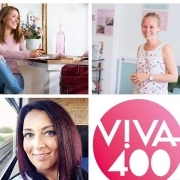 Three Female Hubbers have made it to the yearly Viva 400 list, a list compiled by Dutch magazine Viva, where women who make a difference are put into the spotlight. Viva honors the women in 6 different categories: “Creatieven” (creatives), “Knappe koppen” (bright minds), “Krachtpatsers” (powerhouses), “Techtalenten” (tech talents), “Wereldverbeteraars” (change makers) and “Zakenwonders” (business leaders). On November 15th, a professional jury will award one woman in each category with the Viva 400 award. YOU can also vote for your favorite woman in each category. No matter who takes home the award, we are incredibly proud that these and other talents are part of the Female Hub! Chermaine is nominated in the category “Knappe koppen”. She is doing research at the UMC in Amsterdam on the topic of PAH, a rare and deadly lung disease. Cher suffered from the disease herself when she was 26 and nearly survived. After a double lung transplant, she is dedicated to help others. Suzanne, the founder of Doors Open and the Female Hub is nominated in the category “Zakenwonders”. Not even one year after she opened the doors of the Female Hub, dozens of women find their way each month to this inspiring coworking and co-learning spot. 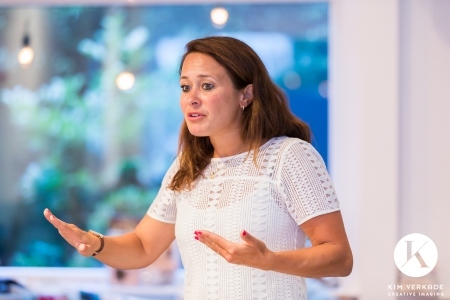 Next to the Female Hub, Suzanne has been running her company Doors Open for over a decade, where she develops leadership, onboarding, talent management and learning and development programs for managers and professionals. Do you want to join these (and other!) inspiring women? Then join the Female Hub and start growing your business! Maybe your on the list next year?